Dr. Samuel Carlton Polk III, a native Memphian, was born and reared by two Memphis educators. He attended Memphis Central High School, Morehouse College in Atlanta, Georgia, graduating with a Bachelor of Science in Biology, and obtained his Doctorate of Medicine from Meharry Medical College in Nashville, Tennessee. He completed his internship in Internal Medicine at Riverside Methodist Hospital in Columbus, Ohio. His residency training was done at Case Western Reserve University / MetroHealth Medical Center in Cleveland, Ohio in Physical Medicine and Rehabilitation. After completion of his residency, he entered and completed a multidisciplinary Interventional Pain fellowship in Anesthesiology at the University of Texas Medical Branch at Galveston. 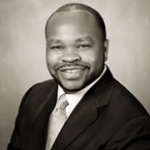 Dr. Polk has been in practice at Semmes Murphey since 2006.